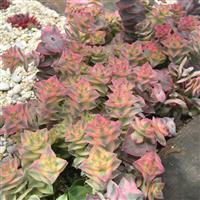 Great plant with gorgeous leaf colours good in a gravel garden. Sunny position height to 6ins. spread 12ins. Frost tender.